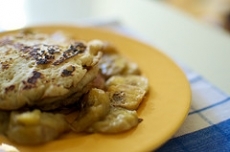 Have you made Banana Buttermilk Pancakes? 1. 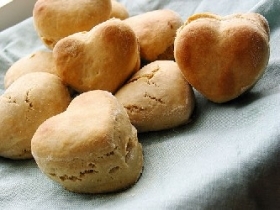 Combine the flour, sugar, and baking soda in a medium-sized bowl, and stir to mix well. 2. 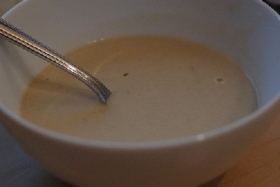 Add the buttermilk and egg substitute, and stir to mix well. 3. Fold in the bananas and wheat germ. Coat a griddle or large skillet with nonstick cooking spray, and preheat over medium heat until a drop of water sizzles when it hits the heated surface. 4. If using an electric griddle, heat the griddle according to the manufacturer's directions. 5. 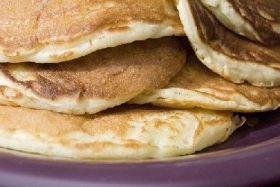 For each pancake, our 1/4 cup of batter onto the griddle, and spread into a 4-inch circle. 6. 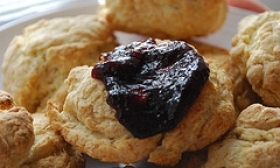 Cook for 1 minute and 30 seconds, or until the top is bubble and the edges are dry. 7. Turn and cook for an additional minute, or until the second side is golden brown. 8. 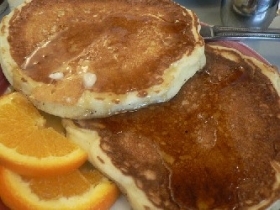 As the pancakes are done, transfer them to a serving plate and keep warm in a preheated oven. 9. 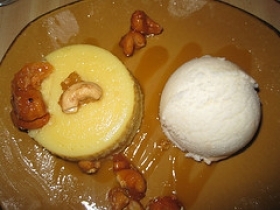 Serve hot, topped with honey or maple syrup. 10. 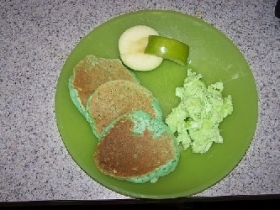 VARIATION: To make Banana Buckwheat Pancakes, substitute 3/4 cup of buckwheat flour for 3/4 cup of the whole wheat flour.